Hi all . . . I thought that i would do a little post on what the team at Accrington Aerials have been up to this week. Its been a busy one already and we’re only half way through the week. The vans are up and down the motorways like little silver yo-yo’s. One of regular customers requested a full new commercial head end. For a property in Cleckheaton, West Yorkshire. We don’t half get about you know! As you can see from the photos, we had nowhere to attach the bracket, so a specialist patio mount was required. Following on from our visit to Yorkshire. We were then called to a TV aerial that was going to 2 points, on a residential property in Darwen. One of our competitors was unable to get the job right. Unfortunately he was using the wrong type of TV aerial with an amp that was not needed, this was causing unnecessary problems. Thankfully Gaz knew exactly what the problem was and sorted it out, leaving us with another satisfied customer. Next on the map saw Gaz in Burnley. 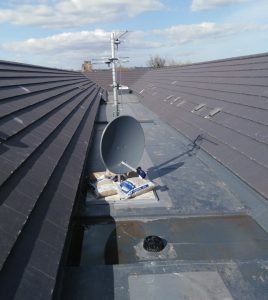 10 new TV aerials were installed on newly renovated properties in the town, at the request of the local housing association. Clive is currently on site. 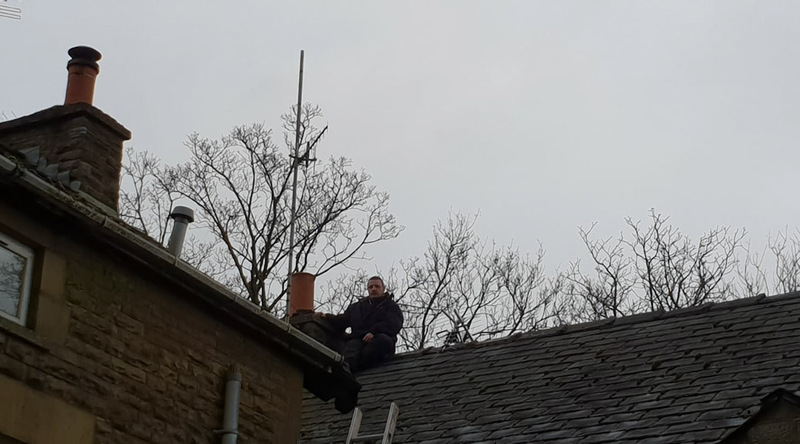 He is completing a system upgrade for 150 master sockets that are TV aerial only, being upgraded to a full IRS system for Freeview Freesat, dab /fm, Sky HD and Sky Q. He should be done sometime Friday. I’ll be doing a more detailed post about this job in the coming days. 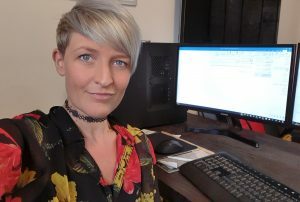 And then there is little old me, in the office. taking calls from our fabulous customers and updating you on what our super hard working team have been up to. Call Accrington Aerials now on 01254 377511 and please don’t forget to leave a review on our Facebook page.